This gallery contains 8 pictures, click a picture to view a larger size. I self published through CreateSpace (Amazon). It's a middle grade novel, entitled "Frog Burgers" (www.frogburgers.net; amazon.com; barnes&noble.com; Kindle) and it is doing well. CreateSpace puts together a pretty good package also. I saw you email asking who we think the best Publisher is for Children's Books. I think it is by far Booklocker. I highly recommend them! Have a wonderful New Year also! Merry Christmas to you too, Anthony! Make 2012 a super year!!! Be aware that a minus called “lying line” is turning around the city. some cold and hot weapons, sharp knife and full armed gun. Hi Anthony! Thanks for the invite! Happy 2010! Best wishes for a wonderful 2010! Happy New Year to you as well. I hope this year is everything you want it to be and more. Happy to share with you... Thank you. A Happy and a Healthy 2010 to you and yours! I am a published children's book author living in Suffolk, VA. Just thought I'd say hello and invite you to my next book signing. It's Friday, Jan 8th from 7-9pm at the Pembroke Barnes and Noble on VA Beach Blvd. What have you been working on lately? Merry christmas &Happy New year~!! Thanks! Merry Christmas to you too! Thank You! I hope you had a wonderful Thanksgiving! Have a happy thanksgiving and safe holidays too you and yours. You're right in your description of "Tales"--many people don't know basic history. Thanks! If you have any suggestions, let me know. Good to be your new friend. Let me know if I can ever help you out with any of your books. Oh, forgot to mention, I was born in Brooklyn also! Didn't go too far though, now I'm in Queens. Thanks for the Vikings cheer! Should be an interesting year for them... my nephews live out in NJ and are totally Vikings fans - and Twins fans, too. Happy September to you too. By any chance are you attending the Children's Book Day Sept 27 in Tarrytown, NY? Thank you. I hope that your September is spectacular! Same to you Antony. Have a great Labor Day. Great pix. Thanks for sharing. Sorry I haven't kept in touch. Have been writing and editing. Very busy. And I thought the summer would slow me down. Well, it's better than not being busy. Enjoy! WOW August already! Where did the summer go? Sounds like you have made the most of it! Good for you! Thanks -Hope you have a GREAT August too! Let me know when your next book comes out. Thanks Tony I work on the powerful part. I got the safe and fun covered. Hope your August is fantastic as well! Thanks and to u too Have a nice summer holiday! 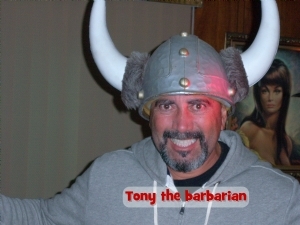 Hi Tony: Good luck with all your projects. Best wishes for a lovely summer. maybe I can't have my vacation. Wow.....sounds like you're having a VERY busy Summer! Congats in advance for getting those books done (Now you HAVE to get them done:-) !! My newest book that I illustrated, "A is for Anaconda" just hit the bookstores in June and Scholastic has picked it up for their book fairs. (Yipeeeeee). Working now on a very fun book about penguins.